This session will give an introduction to disability and entrepreneurship by giving an overview of the work that the presenters have done through the Chicagoland Entrepreneurship Education for People with Disabilities (CEED) Project. In particular, participants will learn about the main barriers facing entrepreneurs with disabilities and service providers, and some of initiatives in policy and practice that can help address these barriers. Finally, the presenters will discuss what entrepreneurship means within the context of Employment First policy and legislation. 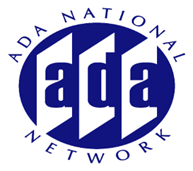 Intended Audience: People with disabilities who have an interest in entrepreneurship, service providers from disability community agencies that provide employment services, business service providers from Small Business Development Centers, policymakers and legislators that have an interest in disability-entrepreneurship, and business leaders that have an interest in learning more about this area and the potential of networking with disabled-owned businesses.